Spend your time with us at the Borgo d’Orlando. We organize, for the most curious gourmets, cooking classes to give you the opportunity to deepen your knowledge of our products and recipes of our kitchen. Travelers looking for relax can request outdoor yoga classes or massages surrounded by ancient olive trees. 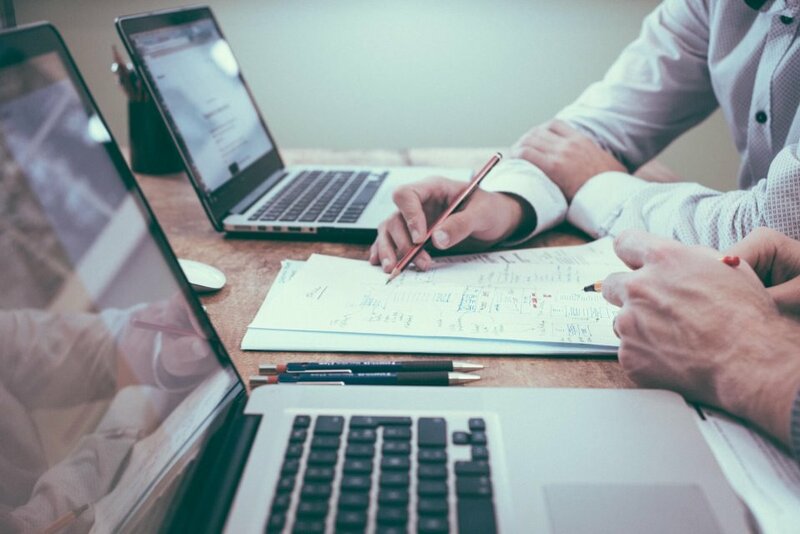 Our meeting rooms and restaurant are organized to meet the needs of those who want to held a business meeting or to celebrate a special occasion. You can choose the solution that best suits your needs: the small room in the ancient church, the large room in the old barn and the large restaurant hall. Or the Vecchio Frantoio, downstream, with its own swimming pool with waterfall. Do you share with us the passion for good food? Do you want to offer your friends and family the dishes you enjoyed most in Sicily? We organize weekly cooking classes, you can prepare your lunch with us and taste it with the people you travel with. 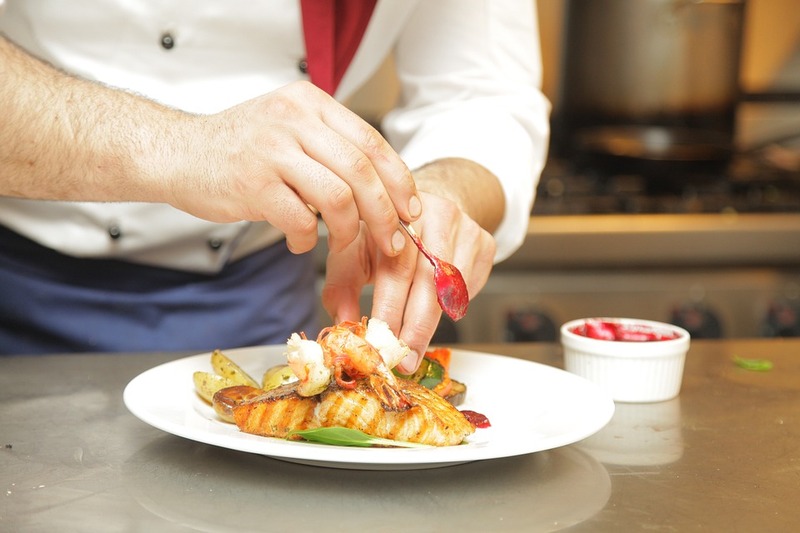 You will receive the recipes and a gift that will help you revive the day spent with our “Monsù”(chef). We will be glad to help you organize your meetings and set up a private room. One of our rooms also features a projector and everything necessary for presentations and business meetings. We will gladly organize everything you need to ensure that your staff or customers can eat or drink a good coffee during the necessary breaks. Do you want to celebrate a family or a happy event? 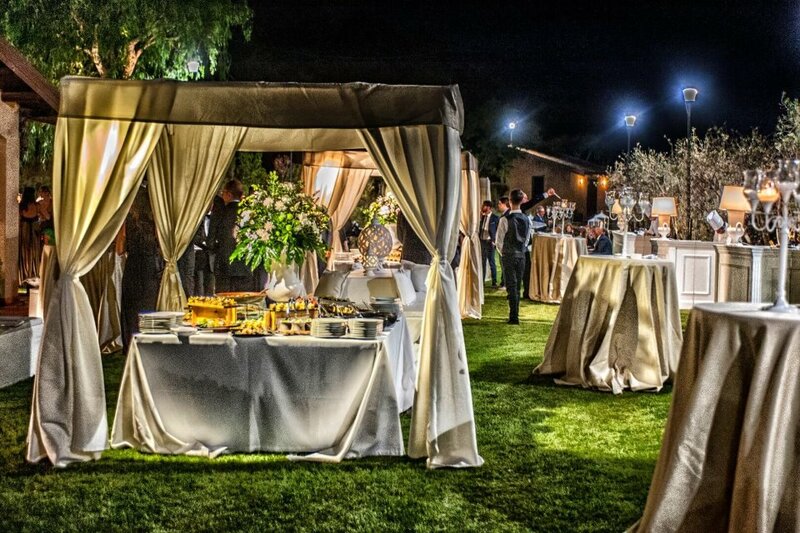 Do you want to organize your wedding? Depending on the number of the guests we can set up rooms of various sizes both in the Village and in the Frantoio, a bit more downstream, where a swimming pool and a large green space to entertain all the guests are located. Il Frantoio has its own large car park and is an independent structure, it is possible then to celebrate until late without having to worry about disturbing the guests of the Borgo d’Orlando. We would obviously be happy to include among our guests, your guests who come from further away. We have large spaces perfect for yoga, both in the outdoor pool and in covered areas in case of bad weather. Suitable for relaxing with those whom you share you interest in yoga, or practicing in our garden your daily exercises surrounded by olive trees, carob trees and exotic plants. Contact us if you have any special needs or if you want to enjoy the hours of lessons the yoga teachers we work with, put at your disposal. What’s more relaxing than a nice pool massage in the morning? Perhaps a relaxing massage by the pool at the end of the day. Take advantage of your stay at the Borgo d’Orlando and discover the wonderful area of the Parco dei Nebrodi. The guides of the Parco have prepared excursions of different difficulties: suitable for families with children, passionate walkers who occasionally climb trails and for those who want to test themselves on our mountains. You will discover the most beautiful corners and breathtaking views of the area behind us: the crystal clear water coming from waterfalls, the beauty of the lakes at high altitude overlooking the Etna, the twirling of eagles and griffins from the Crasto rocks and the ever thick forests that characterize this evergreen territory. An unusual Sicily, which surprises most travelers for the fertility of the territory and for the fresh and rich in water microclimate. Come and discover the Nebrodi at the Borgo d’Orlando. Argimusco creates a sense of mystery and disbelief. The wide spaces and huge megaliths are unknown to most people who come visit us. When you stand before the Megalith of the Eagle or the intense figure of the Orante you will have, perhaps, the feeling that this place is human as much as divine. The huge megaliths are perfectly aligned so that the sun’s light, at its rising and setting during spring and autumn equinox, cross exactly between them. The place is easily reachable by car. You will run across asphalted roads up to a few meters from the entrance of the property, which is fenced to check the livestock. The trail that, from the roads, leads to the megaliths is about a hundred meters, easy walkable even for children and people not used to climb. We can organize your trip to the Argimusco together with a guide who will accompany you to discover this place, defined by the experts the Sicilian Stonehenge. Have you even dreamed of bathing under a waterfall ? The falls of Catafurco, situated at short distance from the village of Orlando and the village of Galati, are easily reachable – you can, in fact, get there by car a few meters away from the bridge that leads you on the trail and, after a hundred meters, wet your feet into the cold water – bbbrrrrr – that flows from the Nebrodi Mountains. 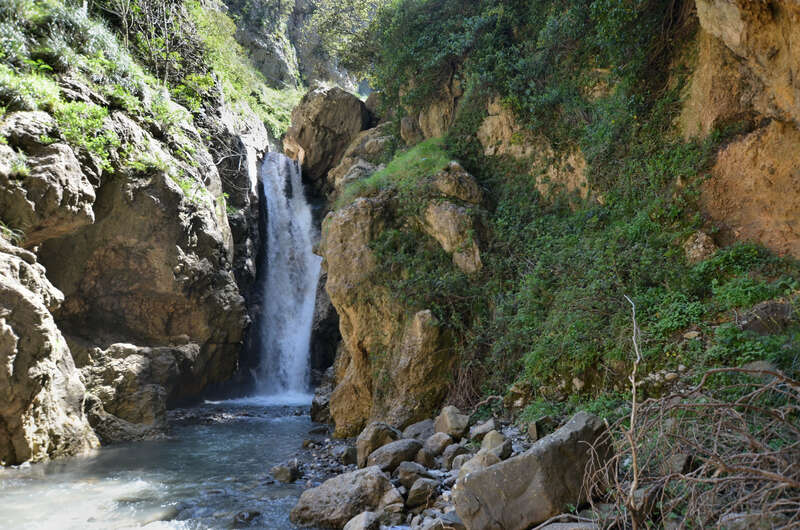 Your children can also play in this natural pool while admiring the nests of birds of prey on the wall above the waterfall. The view enjoyed from the Rocche del Crasto ranges over all the slopes of the Parco dei Nebrodi. From here you can see the eagles and griffins flying over Alcara li Fusi and its valleys; you will, most likely, meet along the trails cows and calves who, quietly, shift between pasture and rest, or horses that run back and forth playing with the wind. 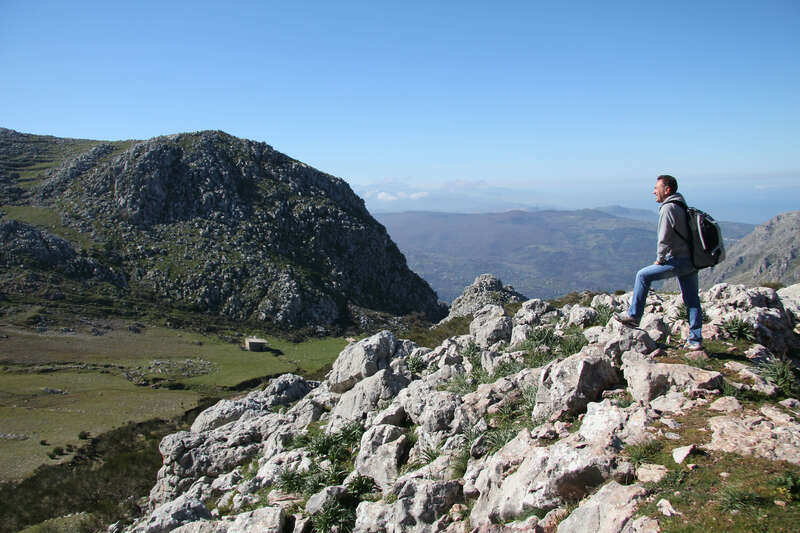 The excursion to the Rocche del Crasto is challenging in terms of time and kilometers to cover on foot and we, therefore, recommend visiting this place with a local guide. We will be happy to help you organize your day at the Rocche del Crasto together with the guides of the Parco dei Nebrodi. From our coast The Aeolian Islands can be reached in about an hour of navigation. You can take advantage of the planned departures by boat from the port of Capo d’Orlando or get to Milazzo and shove off with the hydrofoil. The islands offer landscapes of immeasurable beauty, with their volcanoes, beautiful cliffs and beaches. 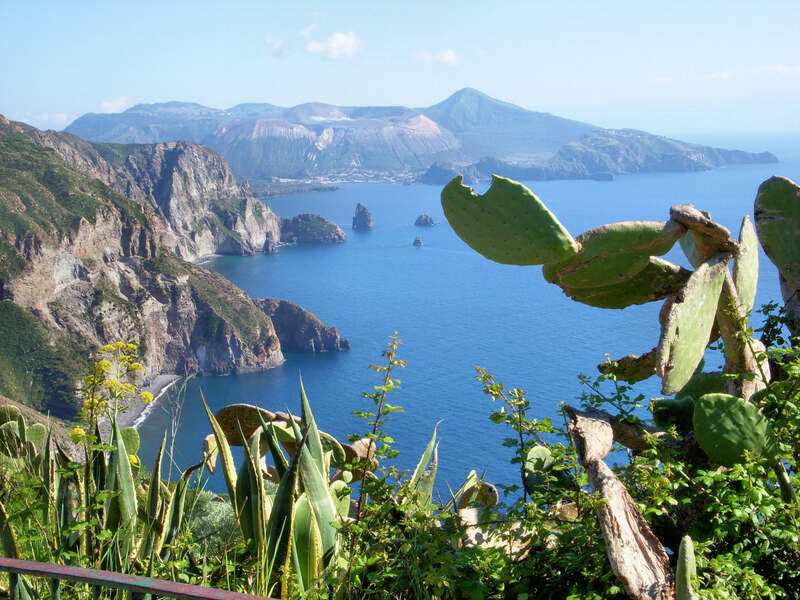 You can take a boat trip, climb to the Vulcano crater, swim in the bay of black beaches or visit the historic center of Lipari, where you will find 3,000 years of history in few meters. You can also choose to take the night excursion which leaves from the port of Capo d’Orlando, and admire the Stromboli eruptions from the sea, under the Sciara del Fuoco. 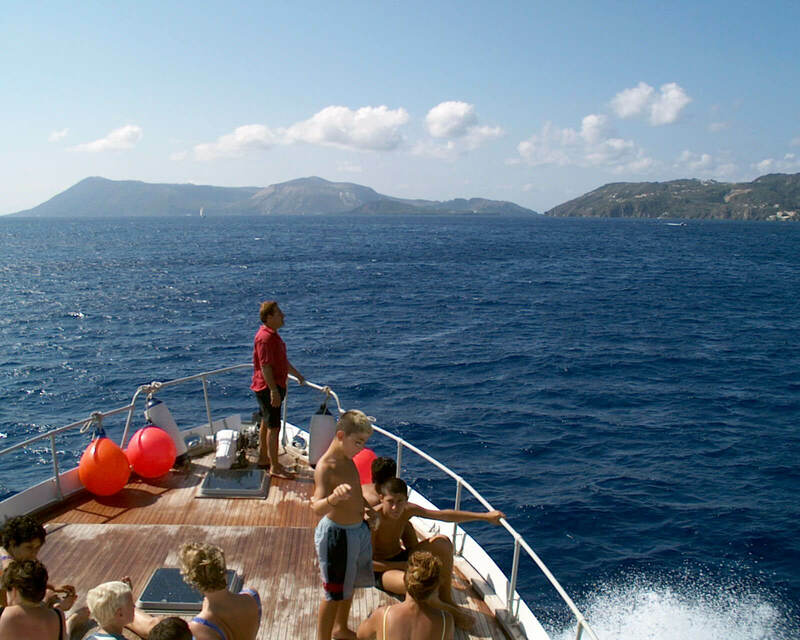 A day at the Aeolian Islands offers unforgettable experiences for those traveling with children and adults of all ages. 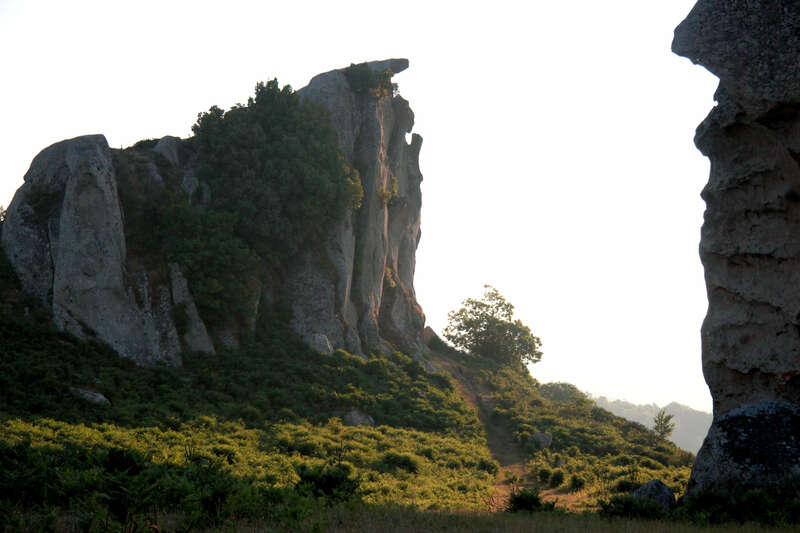 It is an experience to add to your trip in the evergreen Sicily of the Parco dei Nebrodi. In the nearby port of Capo d’Orlando and Sant’Agata boats can be rented with which you can take a look at the coast from the sea. For boats with engines under 8 horsepower a boat license is not required; if you prefer to be accompanied while taking a bath in the most beautiful bays and get more information on the places you see from the sea you can sign up for one of the excursions that are daily organized. Boat trips are organized only on days with favorable forecasts and are also recommended for those traveling with children. If you have passion for fishing you can also organize trips with trolling or bolentino. Visit the medieval town of Cefalù with its alleys that go towards the sea and the beautiful Piazza del Duomo, the beach of the old port and the majestic cathedral where the Norman style is perfectly combined with the Byzantine culture. 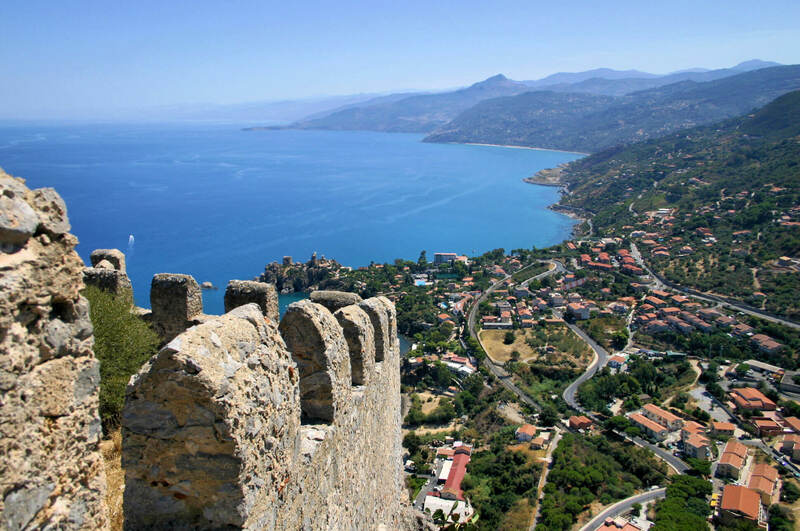 You can go up to the Rocca that rise above the village and admire the coast from where the soldiers used to control the arrival of friendly and enemy ships; on the Rocca you will find traces of ancient temples and the remains of medieval fortresses. 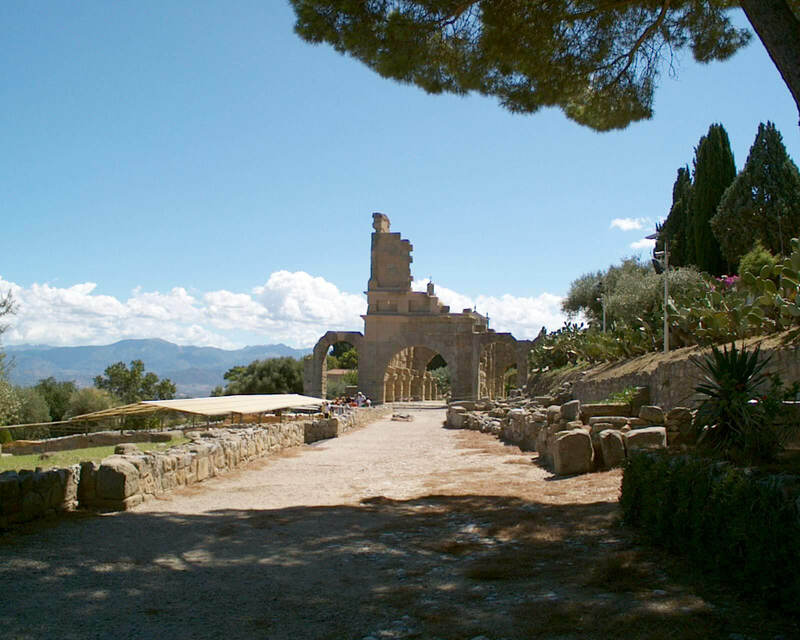 The medieval town of Cefalù is 40 minute by car from the Borgo d’Orlando. If you prefer you can also take the train at Capo d’Orlando or Sant’Agata station, where we will be happy to accompany you. One of the most suggestive places on our coast is the stretch where the Greeks chose to place their colony theater overlooking the Aeolian Islands. Here shows and performances are still held, which liv the summer evenings of our coasts. In the archaeological park of the theater the remains of a Roman villa with its baths and another building, called inappropriately basilica, can be found which was used to enter the agorà, the main square. Besides the archaeological park you can also find the sanctuary consecrated to the Madonna Nera of Tindari, from which you can enjoy the view on the underlying Marinello lakes. The visit of Tindari is recommended to everyone, from young to old, lovers of history and archeology.